Oscar De La Hoya says Donald Trump blatantly cheated when he joined up for a round of golf two years ago. This isn't the first time Donald Trump has been accused of cheating on the golf course -- see Samuel L. Jackson's accusations from January -- but it is the most detailed account we've seen. Speaking to reporters before a fight he's promoting in Las Vegas, boxer Oscar De La Hoya recounted his experiences on a golf course at Trump National LA two years ago. The Los Angeles Times compiled the story. De La Hoya was about to start his round when Trump pulled up in a golf cart and asked to join. De La Hoya obliged and said, "Of course, this is your golf course." "Another one to the water. Then the fourth ball he hits I know it went to the bushes. But Donald, what he does, he tees off first so he can take off right away. I pipe mine down the middle. So we go off to our ball, and who do we see? Donald Trump, right in the middle of the fairway." As they pulled up, Trump said, "By the way, I found my first ball, it's right here." "We're like, 'OK, yeah,' we're cracking up, not in front of his face. Then we go on to a par-3. There's a big bush right between the tee and the green, so you can’t really see the green -- you can see the flag, not the green. Trump hits and we just know it went out of bounds. We know it. He takes off. We get up there and he's like, 'Oh, my ball's right here!' Three feet away. 'And by the way, I'm going to pick it up, it's a gimme.'" And that is the story of De La Hoya and Trump's round of golf. It's got a lot of detail to it, even though the round occurred two years ago. The breakfast balls on the first tee are standard procedure for most amateurs, but claiming to find your first of four failed attempts in the middle of the fairway? That's pushing the envelope a bit. Trump responded to Samuel L. Jackson's cheating accusations by saying, "I don't cheat at golf but @SamuelLJackson cheats—with his game he has no choice—and stop doing commercials! Don't like @SamuelLJackson’s golf swing. Not athletic. I've won many club championships. Play him for charity!" We can't wait to see Trump's retort this time. UPDATE: Trump responded! Speaking to the Associated Press, Trump said he "respects the game too much to cheat and is good enough to have won a number of club championships." 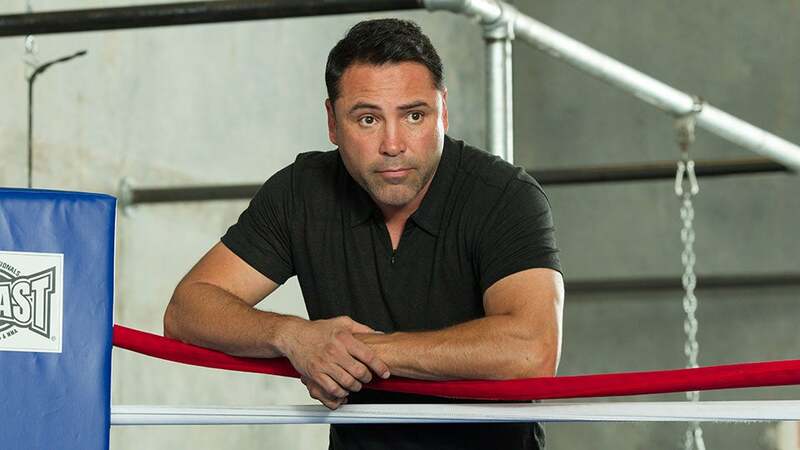 He accuses De La Hoya of bringing up the cheating story to sell tickets for an upcoming boxing match he is promoting. The report continues to say that Eric, Trump's son, told his dad to not respond to the allegations, but Trump felt the need to because "golf is a game built on integrity."